Private-school advocates argued in court Monday for a preliminary injunction against implementation of New York state’s new education guidelines, but no ruling was issued immediately. New York State Education Commissioner MaryEllen Elia rolled out a new rubric for oversight of private schools last December, the culmination of a years-long battle, largely fueled by a group called YAFFED (Young Adults for Fair Education). Private schools have long been obligated by law to provide an education that is “substantially equivalent” to that of public schools. The Education Department says the new list of requirements – which include specific subjects and a minimum number of hours of instruction for each subject ­ are merely “guidelines” as to what constitutes substantial equivalency, but private-school advocates decried what they deemed an unlawful Education Department intrusion into private-school curricula which circumvented the legal legislative and rulemaking process. 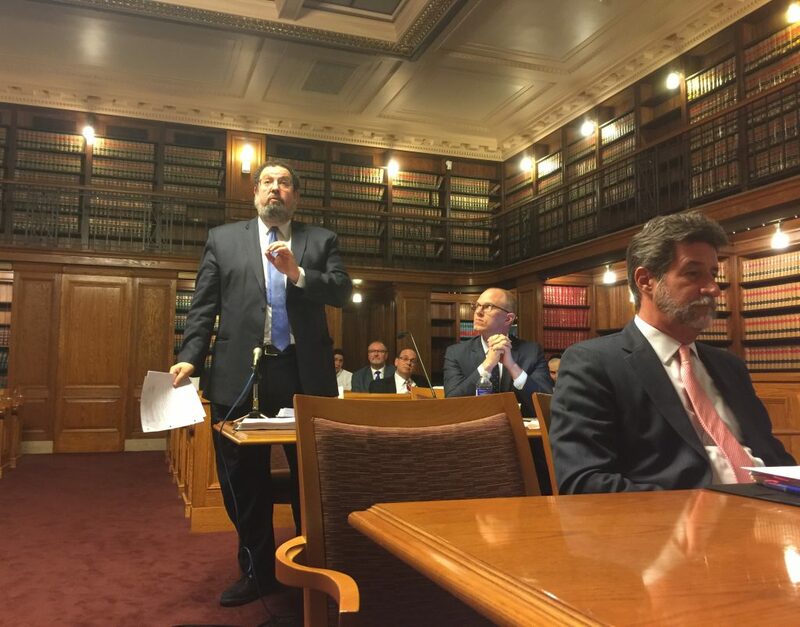 Three groups of private school advocates – one representing Orthodox Jewish yeshivos, organizations and parents; one representing Catholic schools and parents; and one representing independent private schools – filed suit in New York State Supreme Court against the new guidelines, and on Monday argued for a preliminary injunction against the new guidelines taking effect before a final court ruling is issued on the case. Asked by Justice Christina L. Ryba about what sort of oversight the government could have on private schools, Verde said it could intervene if a particular school is not giving proper education. However, it cannot make a statewide inspection program, delegated to local school authorities, based on intricate requirements. Under the new requirements, these local school authorities (LSAs) would determine whether a private school is providing a substantially equivalent education. If a school is noncompliant, and subsequent remedial measures are not successful, the school may lose government funding for items such as textbooks, special education and transportation, and students who attend these schools may be considered truant. LSAs are “elected officials, and their powers cannot be increased or changed by an administrator, only by the legislature,” argued Verde. 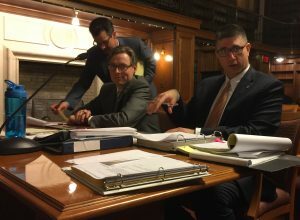 State Attorney C. Harris Dague argued that the new requirements are mere “guidelines” – not rules subject to the traditional legal rulemaking process. He said the new requirements are simply “tools that the LSA needs to look at” to determine what qualifies for substantial equivalency, or “guidance” on how to implement the law. Legally binding rules must follow a special rulemaking process, which include publishing the proposed rule, giving time for public comment, and having a public hearing and vote by the state Board of Regents. But Avi Schick, attorney for the yeshivos, argued, “There’s no doubt that the requirements of the guidelines are in place” and that “every school is supposed to meet every one of those requirements. Now, not in the future.” Moreover, he argued, deprivation of constitutional rights, such as freedom of religion and speech, constitutes irreparable injury. “The harm is here, the Department is poised to take action, and that’s why we are here, Your Honor, asking for a preliminary injunction,” Schick said. Schick also argued that the Department is only looking at “inputs” – whether a specific curriculum is taught – rather than “outputs,” the ultimate success of private-school students. 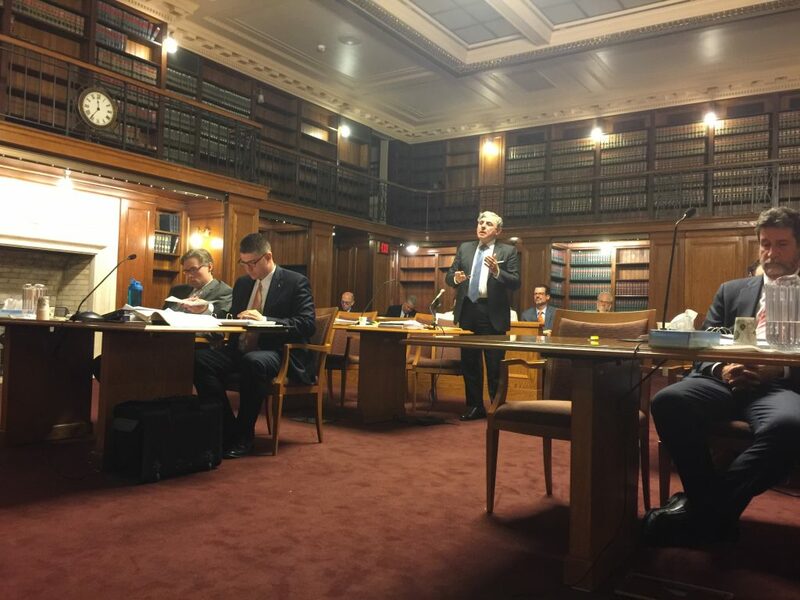 Michael L. Costello, attorney for the Catholic schools, in urging for the injunction, focused largely on freedom-of-religion issues infringed upon by the education requirements. Verde argued that the new requirements would deprive private schools of their uniqueness. All items on the checklist must be followed without exception; Dague admitted that yeshivos would have to come up with a way, for example, to comply with providing a course in theater. 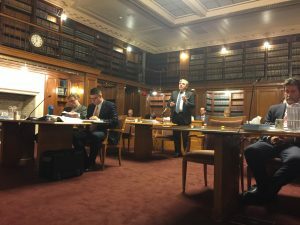 In comments to Hamodia after the hearing, Schick said, “The most troubling revelation by the state today was when it said that yeshivah parents should not have the choice to determine whether certain courses are not best for their children. There is no timetable for when Ryba will rule.